Buying a home is an important decision. Listed below are a few helpful tips to get you started. If you have any questions, please feel free to contact us. 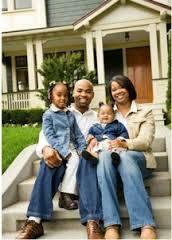 What are your personal reasons: growing family, job relocation, desire to move closer to work or school? How long do you plan to own this home? Do you have enough cash for a down payment, closing and moving costs? Can you afford to carry a monthly mortgage and still pay your bills? Do you need the tax break? Would you like to make a substantial investment in your financial future? It pays to get organized by put your finances in order. Get pre-approved for a loan and you'll have a much clearer picture of what you can afford. Yes, there are many steps in the process,but it's not as daunting a task as one might think. Credit data: Check your credit and correct any credit problems you may have before the lender gets your credit report. Loan documents: Gather financial information the lender willrequest: Copy of the purchase contract, last two tax returns, pay stubs for the last 30 days, etc..
Real estate listings: Use Find A Home under the Buyers section to get New Jersey Real Estate Listings online. Get Pre-Approved: This gives you an estimate of how much you can borrow and puts you in a better position to know how much of an investment will be comfortable for you. When you ready to write up an order of purchase, make sure you include a few contingencies, or conditions, in the contract that will allow you to cancel the sale andget your money back if something goes wrong. A Financial Contingency: It cancels the sale if you are unable to get a loan after making a good-faith attempt to get one. An Inspection Contingency: It cancels the sale if an inspector uncovers serious problems or you can't reach an agreement with the seller to make needed repairs. A Title-Inspection Contingency: It puts the duty on the seller to provide clear title to the property in order for the sale to go through. All of the steps listed above are part of the home buying process.